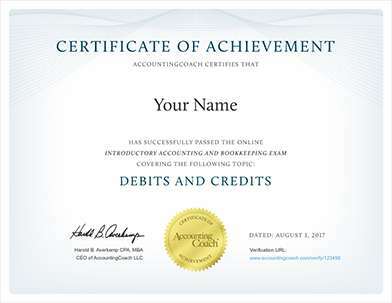 If you have difficulty answering the following questions, learn more about this topic by reading our Accounting Principles (Explanation). The personal assets of the owner of a company will not appear on the company's balance sheet because of which principle/guideline? The cost principle is associated with the carrying amounts of the business assets. The owner's assets are not shown on the balance sheet of the business. This is true even if the business is a sole proprietorship. The monetary unit involves the expression of amounts in dollars and the assumption that the dollar's purchasing power does not change (no inflation). Which principle/guideline requires a company's balance sheet to report its land at the amount the company paid to acquire the land, even if the land could be sold today at a significantly higher amount? The cost principle requires the accountant to show assets at cost and expenses at cost rather than at higher amounts. Accountants are not allowed to recognize gains from merely holding the land. To be able to recognize a gain on the land, the company would have to sell the land. The economic entity assumption involves keeping the owner's personal transactions separate from the business transactions. A better answer is the cost principle. Keeping the asset amount at cost is due to the cost principle. The monetary unit assumption is that the dollar is stable over time—no inflation. Which principle/guideline allows a company to ignore the change in the purchasing power of the dollar over time? A better answer is monetary unit assumption. The cost principle requires accountants to record transactions at cost (an objective measurement) and to keep the asset at cost. The monetary unit assumption is that the dollar is stable over time—no inflation. Which principle/guideline requires the company's financial statements to have footnotes containing information that is important to users of the financial statements? Conservatism involves choosing between acceptable alternatives. In other words conservatism is used to break a tie between two acceptable choices of how to account for something. It is also associated with recognizing losses but not gains for certain situations. The full disclosure principle requires businesses to disclose information that is relevant to the decisions of investors and creditors. Which principle/guideline justifies a company violating an accounting principle because the amounts are immaterial? Conservatism involves choosing between acceptable alternatives. In other words conservatism is used to break a tie between two acceptable choices of how to account for something. It as also associated with recognizing losses but not gains for certain situations. When an amount is so small/immaterial an accountant may decide to ignore an accounting principle. For example, a large company might purchase a $300 digital camera to be used for the next five years. The matching principle would call for an expense (depreciation) of $60 per year for five years. Most accountants would violate the matching principle and expense the entire $300 in the year it is acquired. The rationale is that the decision makers would not be misled by the small differences of $240 in the year purchased and $60 per year in each of the following four years. Which principle/guideline is associated with the assumption that the company will continue on long enough to carry out its objectives and commitments? The time period assumption (also known as periodicity) is the assumption that the ongoing business activity can be segregated into time periods of a year, a month, a week, etc. A very large corporation's financial statements have the dollar amounts rounded to the nearest $1,000. Which accounting principle/guideline justifies not reporting the amounts to the penny? Full disclosure is associated with adequately reporting information that is relevant to the readers of the financial statements. This is often carried out in the notes (footnotes) to the financial statements. As long as the digits omitted are small in relation to the true amounts, companies will round numbers so as to emphasize the relevant digits. The rationale is that no one will be misled by the omission of the insignificant digits. In the U.S. the monetary unit is associated with the reporting of all items in U. S. dollars and that the U. S. dollar's purchasing power does not change over time. Accountants might recognize losses but not gains in certain situations. For example, the company might write-down the cost of inventory, but will not write-up the cost of inventory. Which principle/guideline is associated with this action? Materiality involves insignificant amounts. For example, many companies report their financial statements in thousands of dollars. The reason is that pennies, dollars, and hundreds of dollars are not significant to the decision makers using the financial statements. Another example is the immediate expensing of a $15 stapler instead of depreciating the stapler over its useful life of 5 years. Which principle/guideline directs a company to show all the expenses related to its revenues of a specified period even if the expenses were not paid in that period? The cost principle requires the accountant to show assets and expenses at cost rather than at higher amounts. When the accountant has to choose between two acceptable alternatives, the accountant should select the alternative that will report less profit, less asset amount, or a greater liability amount. This is based upon which principle/guideline? Conservatism is used in order to 'break a tie'. Accountants should strive to be objective and to use conservatism when doubt exists between two options. Cost involves recording transactions at their cash value at the time of the transaction. Materiality involves insignificant amounts and the accounting for those amounts. Public utilities' balance sheets list the plant assets before the current assets. This is acceptable under which accounting principle/guideline? Certain industries (usually those that are regulated by the government) have unique reporting requirements that are followed on the financial statements as well as the reports to the government. A large company purchases a $250 digital camera and expenses it immediately instead of recording it as an asset and depreciating it over its useful life. This practice may be acceptable because of which principle/guideline? The matching principle would emphasize depreciation, such as 'matching' $50 of Depreciation Expense each year for five years with the revenues during those five years. Because this is a large company, $250 is considered to be an insignificant amount. Hence if the company depreciates the camera at $50 per year for five years or expenses $250 in the year it is purchased, an investor or lender would not be misled by the additional expense of $200 per year in the first year and the $50 difference in the next four years. A corporation pays its annual property tax bill of approximately $12,000 in one payment each December 28. During the year, the corporation's monthly income statements report Property Tax Expense of $1,000. This is an example of which accounting principle/guideline? Conservatism requires that when two acceptable accounting options are available, the accountant should choose the option that results in less assets, less profit, or a greater liability amount in order to 'break the tie' between the options. The matching principle requires the company to match 1/12 of the annual property tax to each month when revenues are earned as a result of the property. A company sold merchandise of $8,000 to a customer in December. The company's sales terms require the customer to pay the company in 30 days. The company's income statement reported the sale in December. This is proper under which accounting principle/guideline? Full disclosure involves communicating information so that the readers of the financial statements can make informed decisions. The revenue recognition principle requires that revenue be reported when revenue is earned (when goods are sold or services are provided) and not at the time when payment is received. Accrual accounting is based on this principle/guideline. The matching principle requires that expenses be matched to the related revenues or to the accounting period when the expenses are incurred. When the expenses are paid for is not relevant. The cost principle requires that assets and other transactions be recorded at cost. The chief executive was not purchased at a cost and therefore is not reported as an asset on the corporation's balance sheet. The monetary unit assumption is also another reason why the executive is not recorded—we do not know how to measure the executive in U.S. dollars. Going concern is an assumption that the company will continue on long enough to carry out its objectives and commitments. An asset with a cost of $120,000 is depreciated over its useful life of 10 years rather than expensing the entire amount when it is purchased. This complies with which principle/guideline? Cost involves recording transactions at their cost or cash value at the time of the transaction. Near the end of the current year, a company required a customer to pay $200,000 as a deposit for work that is to begin in the following year. At the end of the current year the company reported the $200,000 as a liability on its balance sheet. Which accounting principle/guideline prevented the company from reporting the $200,000 on its income statement for the current year? The revenue recognition principle requires that revenues be recognized when they are earned, not when the cash is received. A retailer wishes to report its merchandise inventory on its balance sheet at its retail value. This would violate which accounting principle/guideline? The cost principle requires that assets be recorded at their cost at the time they are acquired. The cost principle prohibits increasing the cost of items in inventory before an item is sold. A company borrowed $100,000 in December and will make its only payment for interest when the note comes due six months later. The total interest for the six months will be $3,600. On the December income statement the accountant reported Interest Expense of $600. This action was the result of which accounting principle/guideline? The matching principle requires that expenses be matched with the related revenues or to the appropriate period of time. In this case the company is incurring interest expense every minute that it has the loan. For one month's use of the money, the company has Interest Expense of $600 and it needs to be reported on the December income statement in order to be in compliance with the matching principle and the accrual basis of accounting.